These instructions are for Open Learning Faculty Members entering assignment and assessment grades for Open Learning courses. Instructions for campus faculty entering final grades for campus courses. 2 Click 'OL Faculty Members', then 'Open Learning Course List'. 3.1.1 From the OL Course List, click the course name. 3.1.2 On the 'OL Long Class List', click one of the boxes under 'Assignments'. 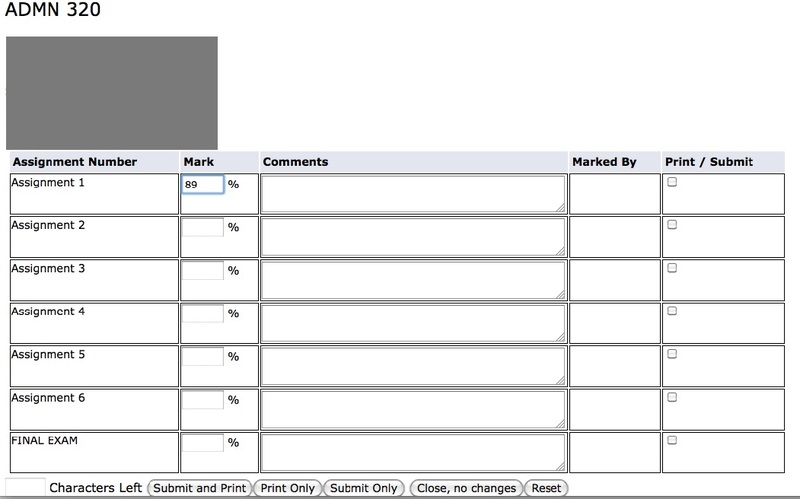 3.1.3 Enter the total assignment mark out of 100 in one of the boxes. 3.1.4 Click 'Submit Only' to save your entry. 3.2 Option 2: Quick TMA Entry. 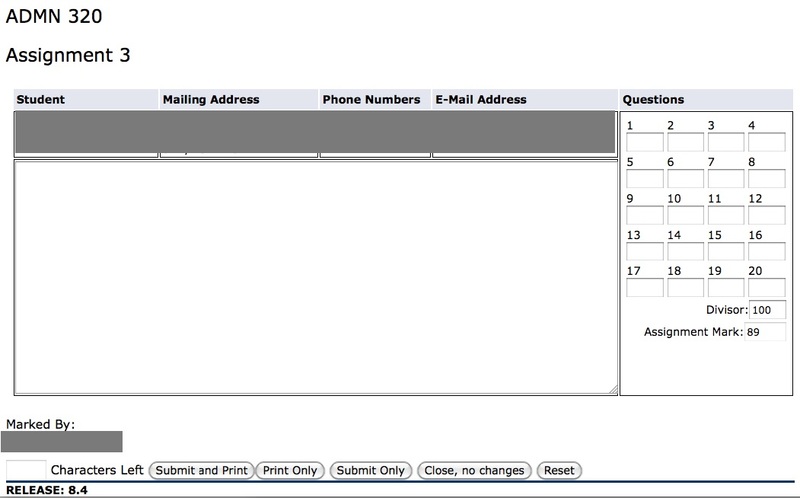 3.2.2 Click the ID number of the student for whom you want to enter multiple grades. 3.2.4 Your name will appear in the 'Marked By' column as confirmation. Please contact the IT Service Desk for login assistance. 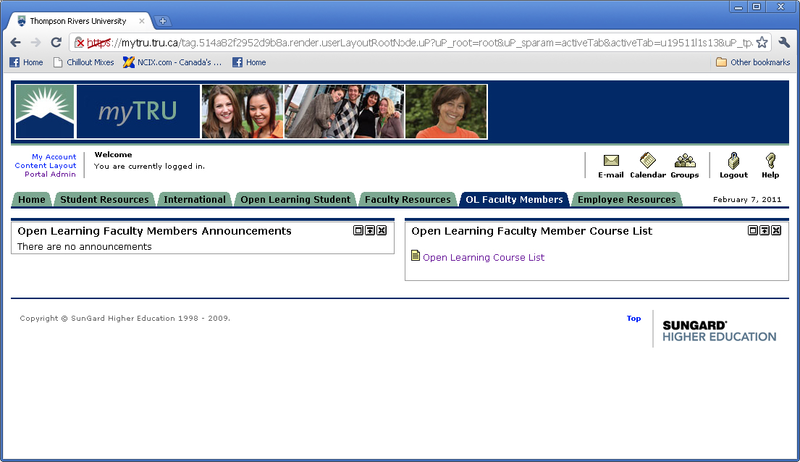 Click 'OL Faculty Members', then 'Open Learning Course List'. If you teach on campus courses, do NOT choose the 'Faculty Resources' tab when entering grades for Open Learning courses. From the OL Course List, click the course name. On the 'OL Long Class List', click one of the boxes under 'Assignments'. Hover over the assignment box to see the assignment number. Quizzes and mid-terms are listed under 'Assignments'. Enter the total assignment mark out of 100 in one of the boxes. You can also change the divisor to reflect the assignment marking scheme and enter a raw score. Click 'Submit Only' to save your entry. Your name will show below the comment field if the mark has been entered correctly. Option 2: Quick TMA Entry. 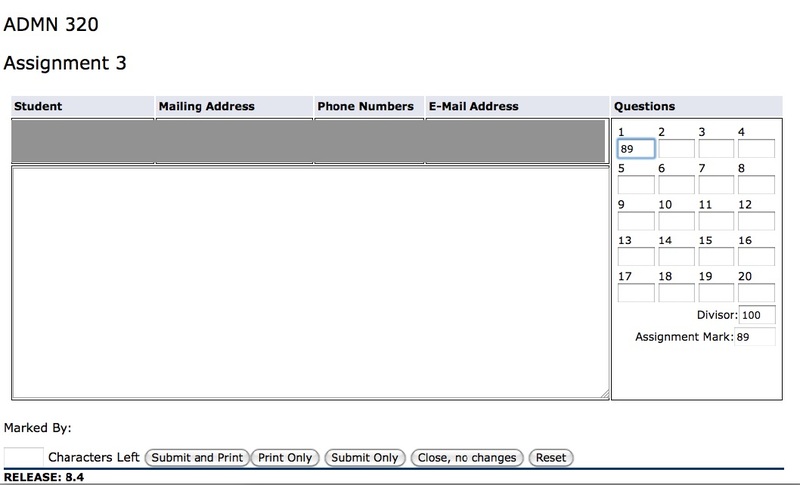 Click the ID number of the student for whom you want to enter multiple grades. Your name will appear in the 'Marked By' column as confirmation. You will see that you are able to enter comments on the Quick TMA Entry page. These comments will be saved in banner but students do not have access to view them. Please send assignment feedback through Blackboard. This page was last edited on 7 March 2016, at 10:23.